Special heat treated (ceramic) to prevent cracks. High resistance paint (Endless Blue). 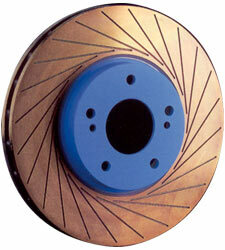 24 slot design helps stabilize brake pad performance under extreme racing conditions. Highly recommended for race use.